As this is the first properly chilly day this autumn I feel justified in offering up this rich, unctuous stew. The whole dish is very easy to put together but oxtail needs a long, slow braise so you might want to make it the day before and simply reheat. If you do this I suggest removing the meat from the bones- at any rate the meat should be falling away. It makes it less messy to eat and more appealing to people who don’t like to think from whence cometh the meat. 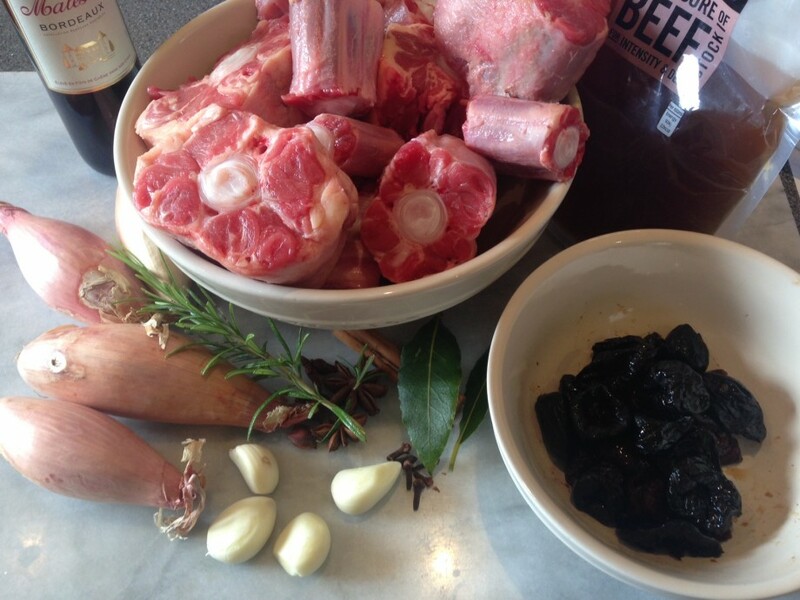 On that note, you could make this braise with shin of beef if you prefer. If so, braise it for about 2 hours. Serve with creamy mash and some good old fashioned greens. Heat the oven to 170˚c, fan oven 150˚c, mark 3. Heat the oil in a flameproof and ovenproof casserole. Over a moderate to high heat, brown the oxtail in batches for about 3 minutes each side. 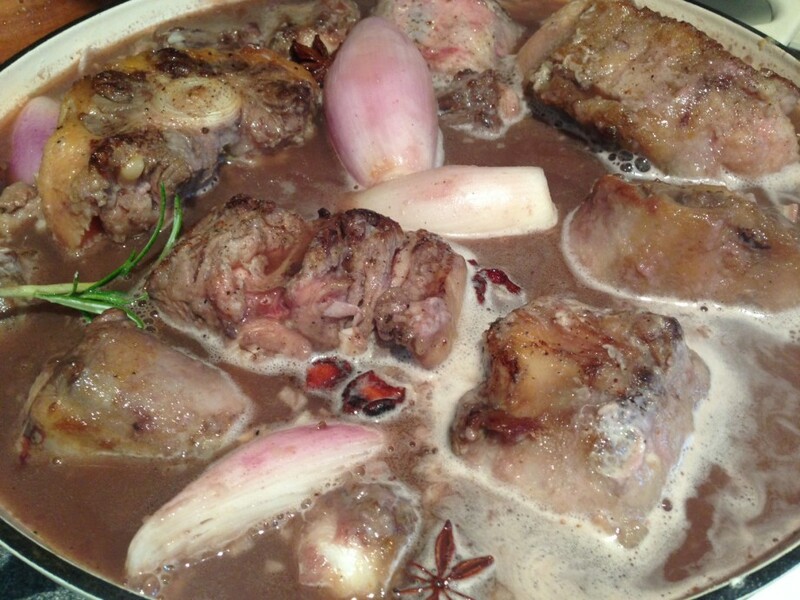 Return all the oxtail to the casserole and add the shallots. Sprinkle over the flour and mix together. Cook for 1 minute then pour over the red wine. Let it boil for a minute then pour over the stock and 250ml water. Stir once or twice and bring to the boil. Add all the remaining ingredients except the prunes and season with a little salt and ground black pepper. Cover with a tight fitting lid and cook in the oven for 4 hours. 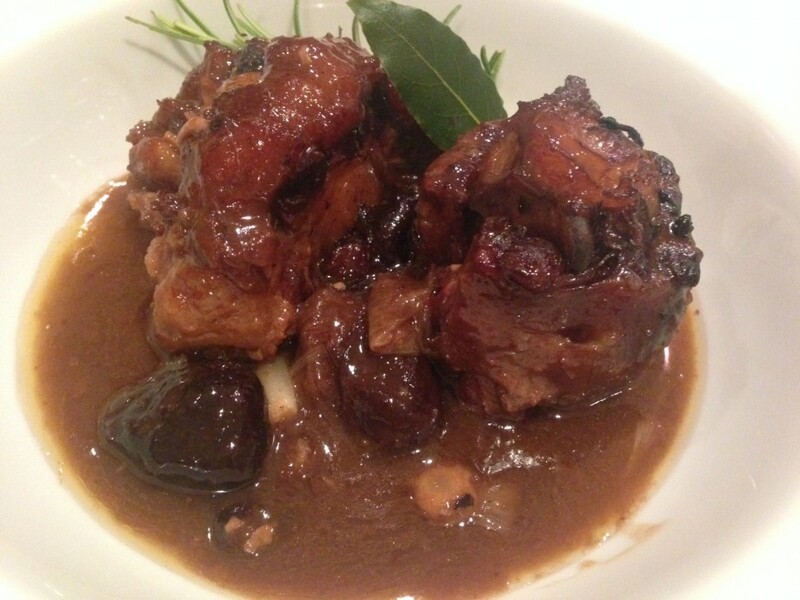 Add the prunes and stir and cook for a further 30-40 minutes. Taste and season again if necessary. Either cool and remove the meat from the bones, then heat through gently or serve straight away with mashed potatoes and greens.